The Bears have begun making cuts to get the roster down to 75 by the Tuesday deadline, and it seems one of the bigger battles of training camp has been settled. Jimmy Clausen is your backup quarterback. Bears are keeping QB Jimmy Clausen over Jordan Palmer, who is being released, per sources. 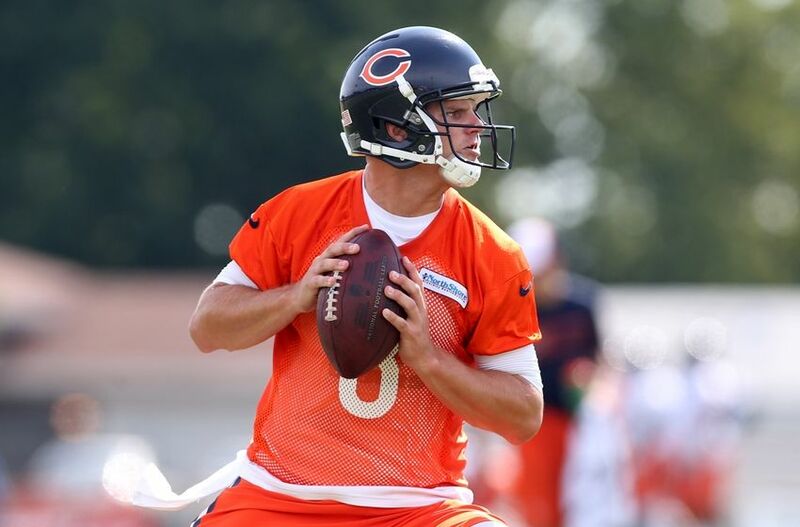 For now, Clausen has won Bears' backup job. I assume this also means that David Fales will be the team’s third quarterback. Though I must say I think just letting Jordan Palmer go could be a mistake. I mean, you didn’t even try him out at safety first. Or linebacker. Or cornerback. Or on special teams. This entry was posted in Chicago Bears and tagged David Fales, Jimmy Clausen, Jordan Palmer by Tom Fornelli. Bookmark the permalink.